Hiring physicians, assistants, and office staff in medical groups is a common practice. But, before they start working for your group, you need to sign an employment agreement letter with them. 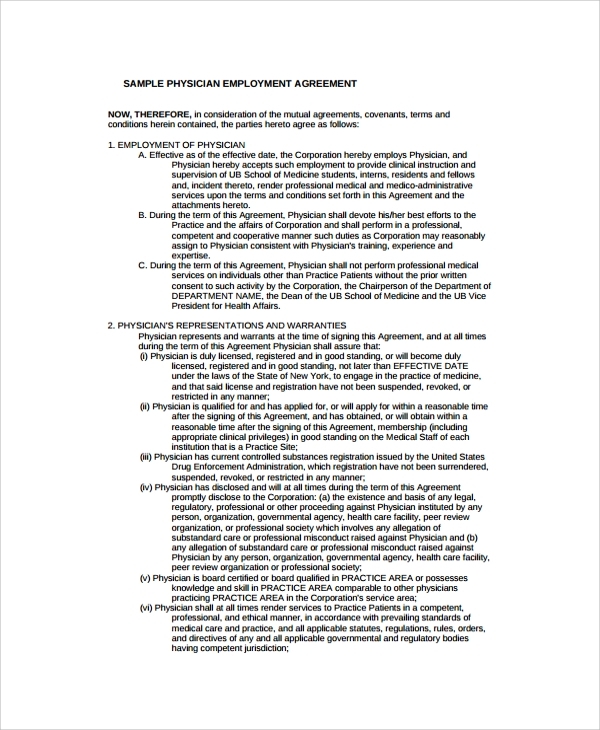 We have prepared a list of physician Employment Agreements contracts for various purposes. 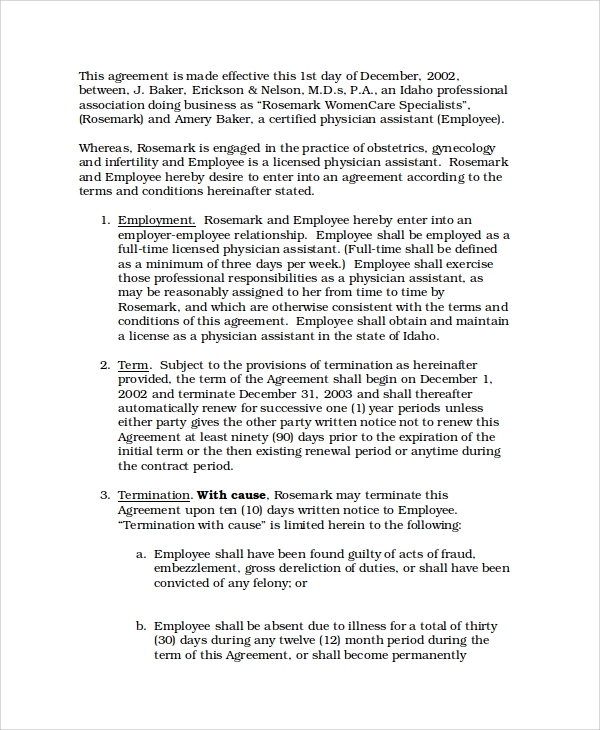 Sample physician employment agreement is a legal document that is signed by physicians and a medical group. The agreement ensures both physician’s and medical group’s rights. This agreement covers the physician’s duties and status information along with job type. Also, it contains terms about compensations and employee benefits. 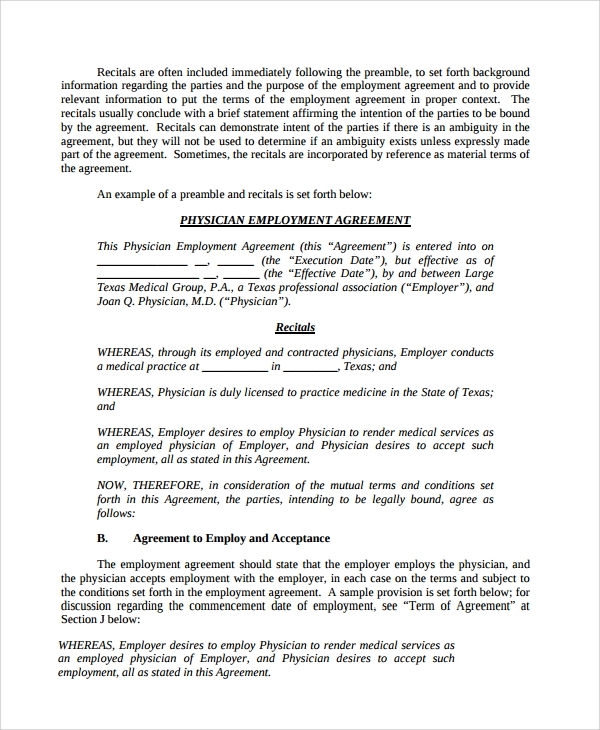 Download this PDF document and use it for signing physician employment agreement with little customization. 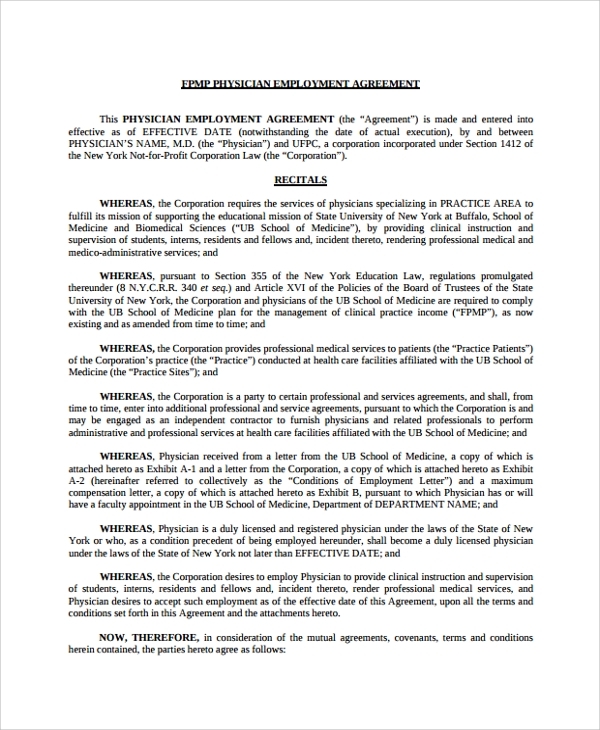 Physician employment agreement is the primary step taken at the time of physician recruitment. 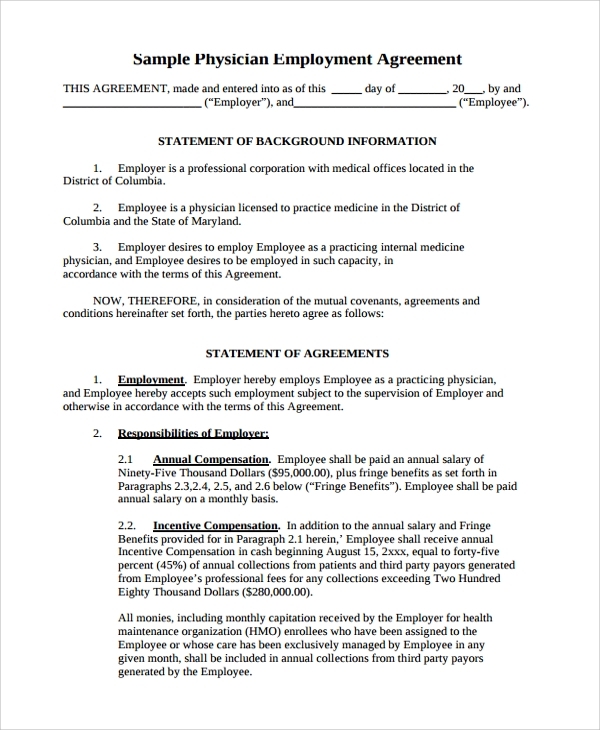 Download part-time physician employment agreement template and sign a custom employment letter agreement with the physician. It covers all key points and terms including provisions, restrictive covenants, liability insurance, compensations, and other activities or custom hospital/medical care programs. 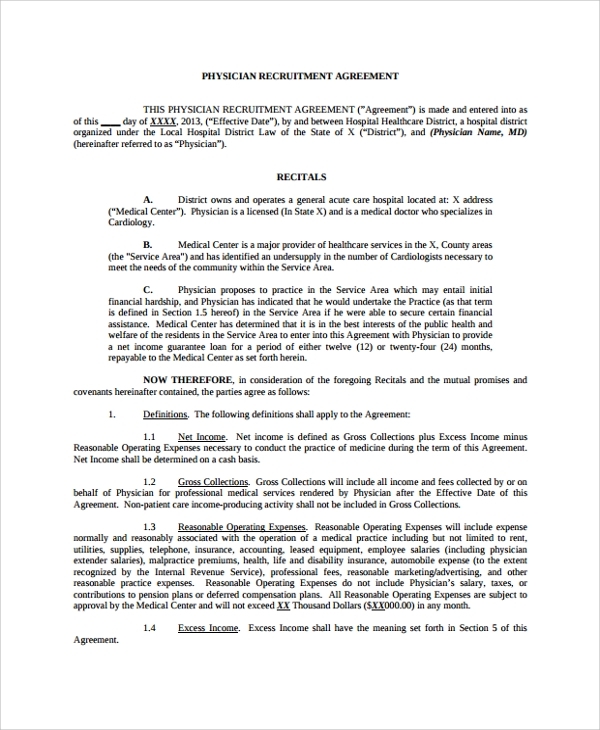 Physician assistant employment agreement can either be signed between medical group and assistant or between physician and assistant if physician runs a personal clinic. 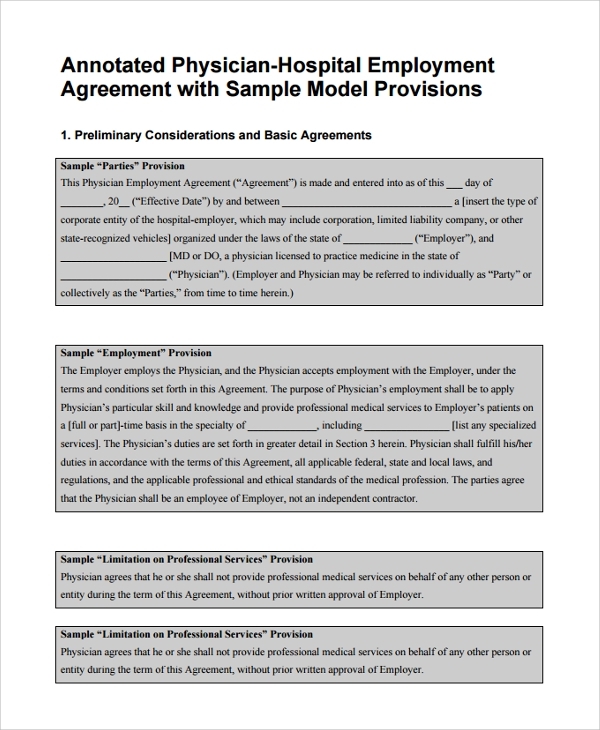 This agreement paper contains all basic details including work details, compensation, incentive, service provision details, and liabilities given to the assistant. 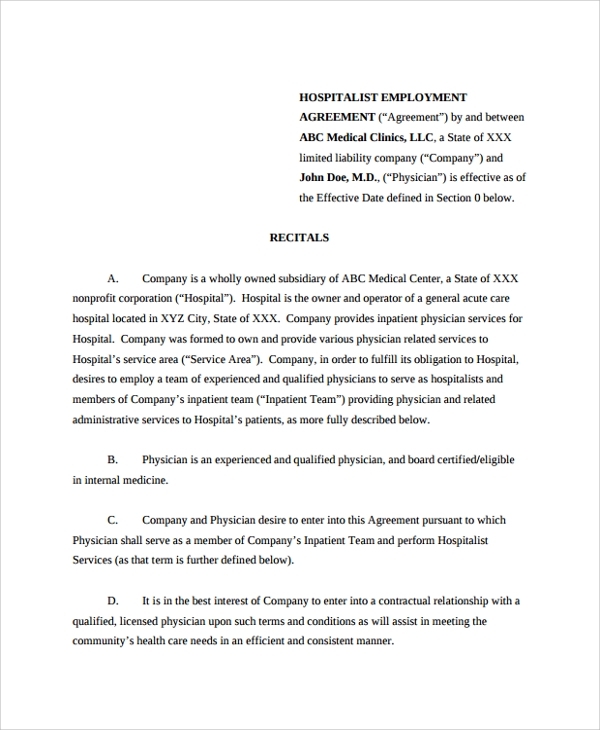 Physician shareholder employment agreement can be used for signing an agreement letter with the physician who is also a shareholder of the medical group/hospital. It covers the terms and responsibilities of a physician to be followed while practicing in the hospital. Our agreement PDF documents are easy to download and you can customize it using MS-word software. It supports all basic and new Microsoft versions. Do contact us, if you need an access to a particular agreement paper.